House Speaker Paul Ryan, R-Wis., is moving close to victory. After a frustrating year in which Republicans who control Congress failed to repeal or replace the Affordable Care Act, Congress is moving closer to approving its first major legislation of 2017. 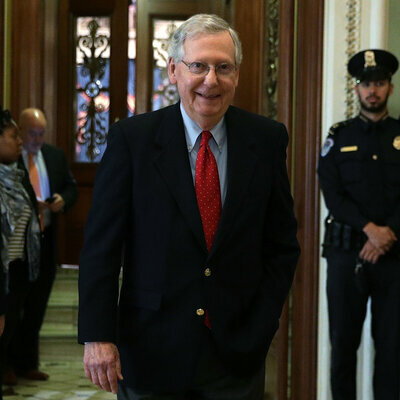 The House and Senate have passed differing versions of the measure — the Senate narrowly passed its bill early Saturday morning. The two bill now are to be reconciled and sent to President Trump’s desk. 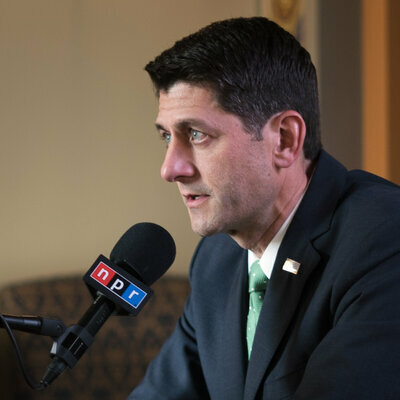 In an NPR interview Thursday, Speaker Ryan offered a detailed defense of the tax bill. What follows are some of Ryan’s statements, in bold — and some of the facts behind them. There’s no reason to doubt that this was one of Ryan’s goals. Helping the middle class is the lodestar for politicians in both parties. Ryan rarely misses a chance to note his roots in blue-collar Janesville, Wis., and the bill does reduce tax rates for the middle class. However, Ryan was working with President Trump, who wanted a tax cut for corporations. Ryan said the bill was “designed” as a middle-class tax cut, but the core of the resulting bill is really the corporate tax cut. Republicans also were determined to lower tax rates for the wealthiest individuals and abolish the estate tax, paid only by individuals who leave more than $5.49 million to their heirs. Because Congressional rules limit the overall size of the tax cut, tax relief for businesses and the wealthy leaves fewer savings to spread around to everyone else. The bill increases the standard deduction for taxpayers who do not itemize deductions. That amounts to a tax cut for them. But the bill also eliminates deductions taken by many who itemize them. Those people may face higher tax bills. NPR health policy correspondent Alison Kodjak has reported otherwise. 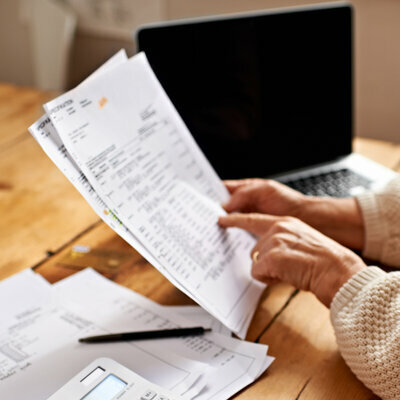 In a Nov. 17 report, Kodjak noted that the deduction — which can only be claimed when medical expenses not covered by insurance exceed 10 percent of your income — is commonly used by many parents of disabled children and the elderly on fixed incomes. Eliminating deductions like this are what make room for big items like the corporate tax cut — and remember, it’s all connected. Tax cuts tend to increase the federal deficit, and congressional rules limit how much Republicans can do that. So a tax cut in one part of the economy may need to be offset by higher taxes in another. First, the Tax Foundation is not a “non-partisan think tank,” as Ryan suggests. It’s actually right-leaning. In other words, no, it won’t pay for itself. Ryan claims $1 trillion in additional revenue, but the Joint Committee on Taxation says the bill will actually cost $1 trillion. Here, analyst David Wessel acknowledges the problem, but questions the solution. Ryan can only say that this is what he thinks. It is very hard to prove that tax cuts produce so much economic growth that people end up paying more taxes than they were before. Congressional budget scorekeepers are now using “dynamic scoring,” in which they attempt to forecast the effects of tax changes on tax revenue, but analyses of the Senate bill showed it would come up far short of paying for itself. In fact, not a single nonpartisan analysis — from the Joint Committee on Taxation to the Tax Policy Center to the Congressional Budget Office — has found this to be the case for the bills going through Congress. Treasury Secretary Steven Mnuchin has also promised the tax cuts will pay for themselves, but his department was unable to produce an analysis to back him up. 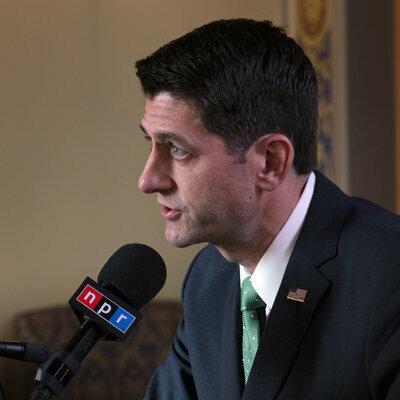 For all of his faith in tax cuts and growth, Ryan could only go so far in our interview.